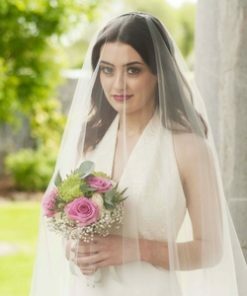 Abigail chapel length veil will have heads turning as you walk down the aisle from it’s graceful 108″ chapel length and it’s beautiful thick lace edge finish. 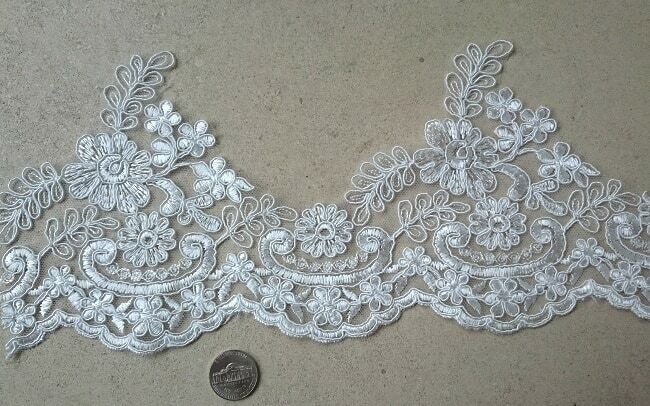 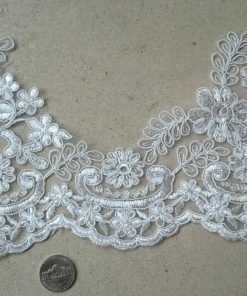 Love the lace of this veil, but want it a different length or width? 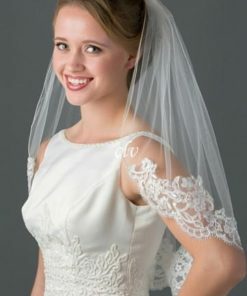 Check out our custom veil page to create your very own.